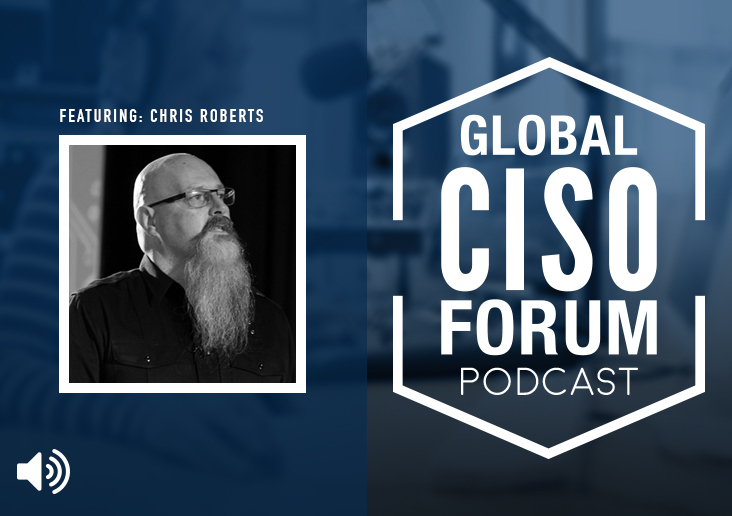 This Global CISO Forum Podcast episode features Chris Roberts who is regarded as one of the world’s foremost experts on counter threat intelligence within the Information security industry. Chris Roberts constructs and directs a portfolio of defense services designed to improve the physical and digital security posture of both enterprise and government clients. With increasingly sophisticated attacks on targets of opportunity, Roberts’ unique methods of addressing the evolving threat matrix and experience with all information systems make him an indispensable partner to clients and industries that demand protection of financials, intellectual property, customer data and other protected information from attack.